Apache OpenWhisk is a serverless, open source cloud platform that allows you to execute code in response to events at any scale. OpenWhisk handles the infrastructure and servers so you can focus on building amazing things. Apache OpenWhisk allows developers to focus on writing value-adding code instead of burning hours on architecture and server management. Write in your preferred language to combine custom code with plug-and-play packages from our rich ecosystem of supporter services, and go live in hours instead of weeks. 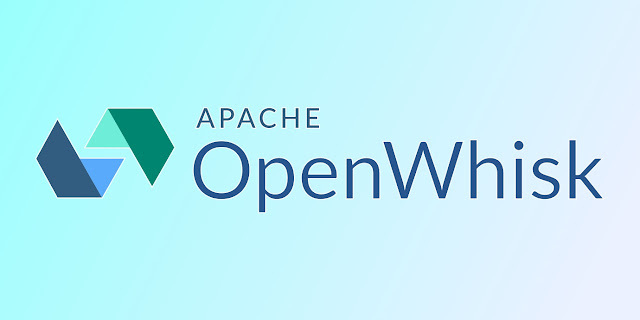 Package creators can easily add their service to Apache OpenWhisk’s growing ecosystem to eliminate the need to build in-house solutions for third-party integrations, reach a broader community of developers, and increase adoption of their products and services. 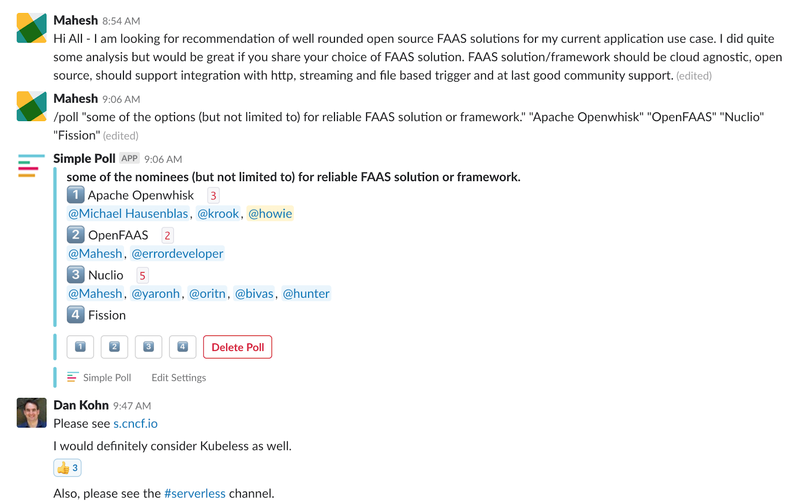 The Apache OpenWhisk community is driven by open source contributors who are advancing this bleeding-edge technology, growing their skillsets, and pushing the boundaries of serverless technology. 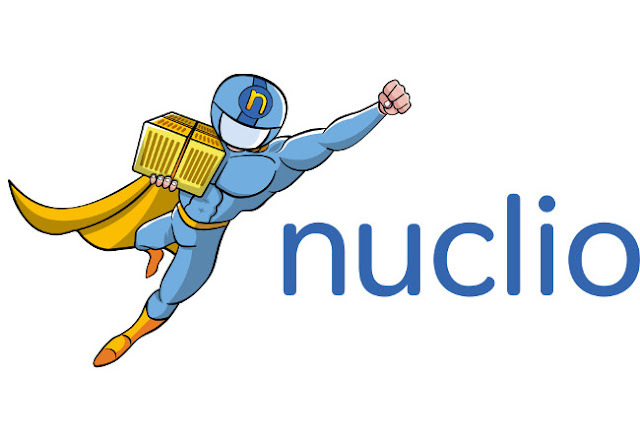 nuclio is a new "serverless" project, derived from iguazio's elastic data life-cycle management service for high-performance events and data processing. You can use nuclio as a standalone binary (for example, for IoT devices), package it within a Docker container, or integrate it with a container orchestrator like Kubernetes. nuclio is extremely fast. A single function instance can process hundreds of thousands of HTTP requests or data records per second. This is 10-100 times faster than some other frameworks. To learn more about how nuclio works, see the nuclio architecture documentation and watch the technical CNCF nuclio presentation and demo (slides can be found here). Fission is a framework for serverless functions on Kubernetes. Write short-lived functions in any language, and map them to HTTP requests (or other event triggers). Deploy functions instantly with one command. There are no containers to build, and no Docker registries to manage.